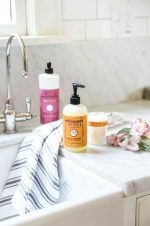 Pamper Yourself With FREE Mrs. Meyer's Products From Grove Collaborative! Home > Free Stuff > Sales & Deals > Pamper Yourself With FREE Mrs. Meyer’s Products From Grove Collaborative! Take advantage of the Grove Collaborative promotion this month and get your FREE Mrs. Meyer’s personal care products – body wash, body lotion, and a loofah! Normally I love winter and snow, but we just got 14″ of snow over the weekend; I’m ready for winter to be over! I can’t wait for sunshine, fresh air, and flowers coming up in the yard! 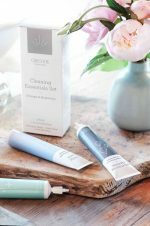 Luckily my friends at Grove are offering a FREE personal care kit that’s perfect to help beat those winter blues! 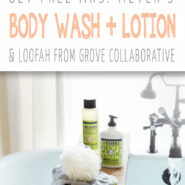 The kit contains free Mrs. Meyer’s personal care products and a free loofah from Grove Collaborative! FREE Mrs. Meyer’s Personal Care Products! Since moving to Chicago, we’ve noticed that the dry winter air is particularly hard on our skin. 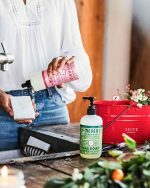 I’ve found that switching up my regular bar soap for this creamy Mrs. Meyer’s body wash was exactly what my skin needed! It’s made with aloe vera so it’s super nourishing, and the scents smell like a spring garden. My personal favorite scent is Honeysuckle! After the shower, I love using Mrs. Meyer’s body lotion. It sinks in quickly, and hydrates without feeling greasy or heavy. This has earned a permanent spot on my bathroom counter next to my Mrs. Meyer’s hand lotion! 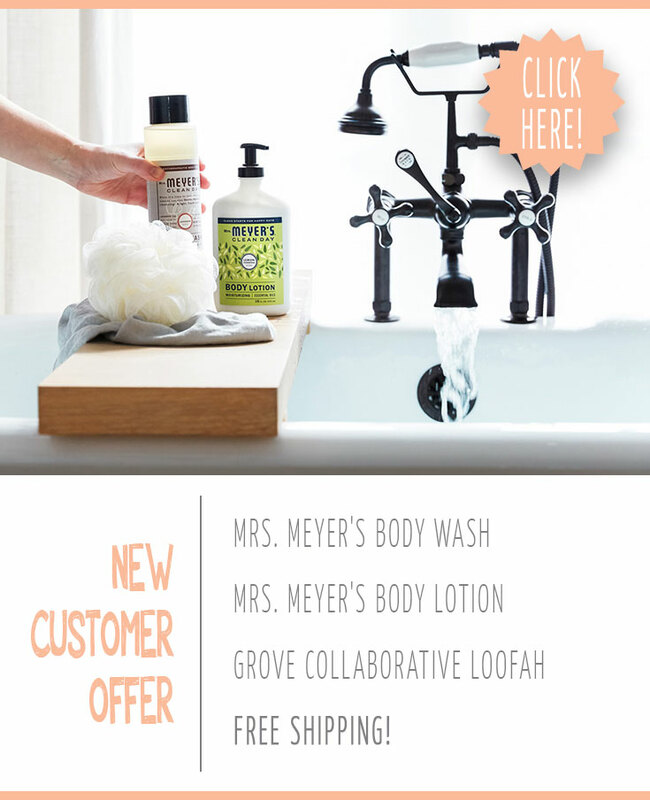 New Grove Collaborative customers can get their free Mrs. Meyer’s personal care products and loofah with their first $20 purchase by clicking here. Already a Grove Collaborative customer? No worries, you know they always have a great deal! 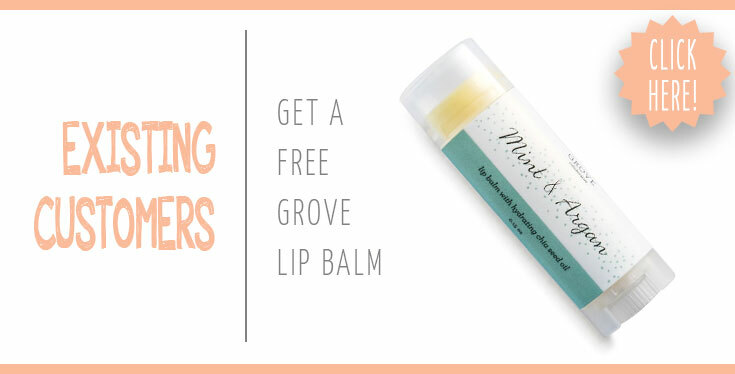 You can get a free Grove lip balm (perfect for soothing those dry, chapped lips!) 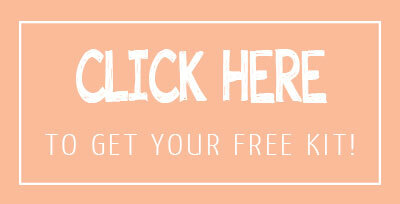 by clicking here! So, how do I get my free Mrs. Meyer’s Personal Care Products & Loofah? 1. 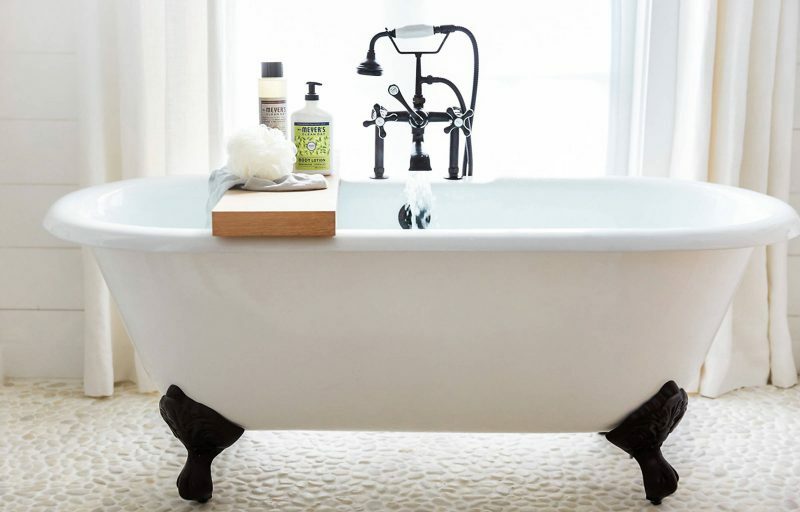 Click here to visit Grove Collaborative and get the free personal care products + free loofah + free shipping + a 60 day free VIP trial. If you’re already a Grove customer, you’ll get a free lip balm! 3. Finalize your cart. If you want to go with the suggested products, go for it! If you want to change stuff around, you can do that too! Just make sure you have at least $20 worth of stuff in your cart in order to get the free Mrs. Meyer’s personal care products and loofah at checkout. 4. Check out and place your order! Your free personal care kit will be added to your order, and your products will arrive in a few days! This awesome deal ends Sunday night, February 18. Supplies are limited, and this is always a super popular deal, so make sure you grab it before time runs out or before it sells out! « Coats And Car Seats: How To Keep Safe AND Warm!